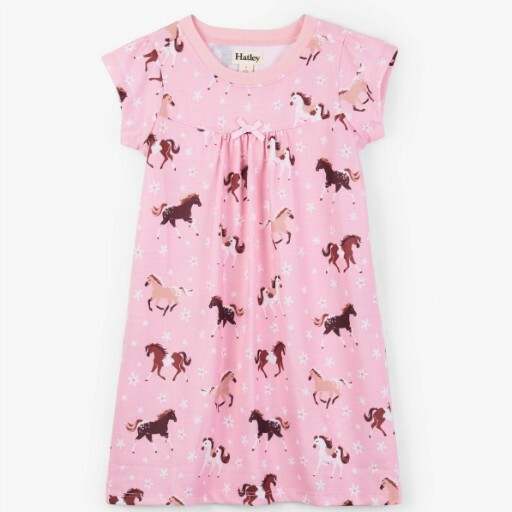 Send them off to dreamland nice and snug in this super comfy short sleeve nightdress. Dreamy frolicking horses and pretty details will keep her company all night long. Features: Pretty bow detail on centre front Gathers at front body Machine washable 100% polyester.